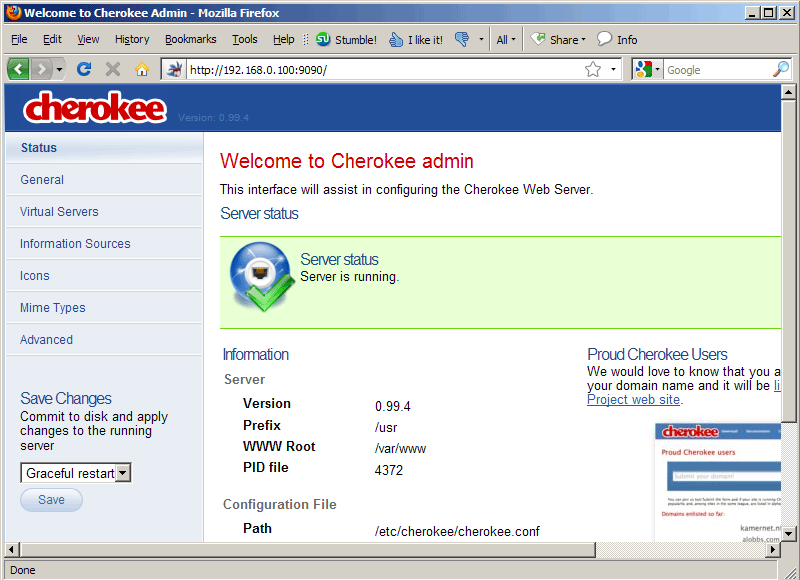 Cherokee is a very fast, flexible and easy to configure Web Server. 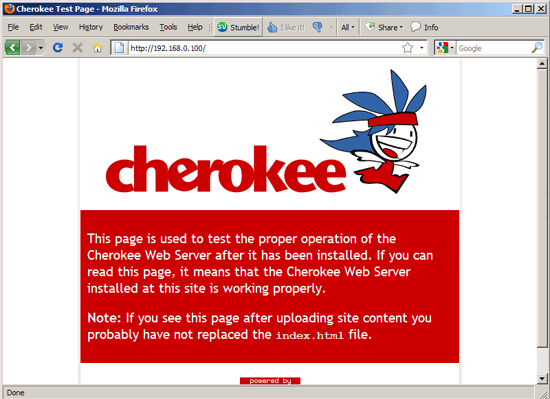 It supports the widespread technologies nowadays: FastCGI, SCGI, PHP, CGI, TLS and SSL encrypted connections, virtual hosts, authentication, on the fly encoding, load balancing, Apache compatible log files, and much more. 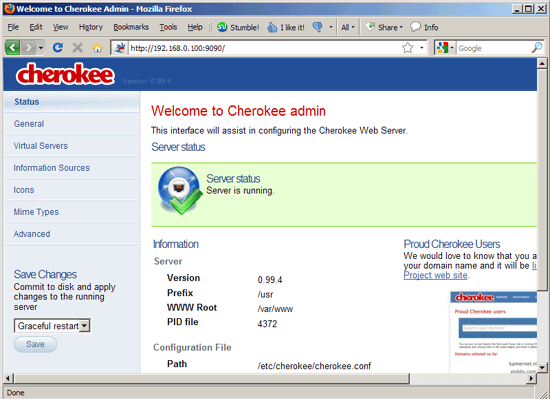 This tutorial shows how you can install Cherokee on a Mandriva 2009.1 server with PHP5 support (through FastCGI) and MySQL support. 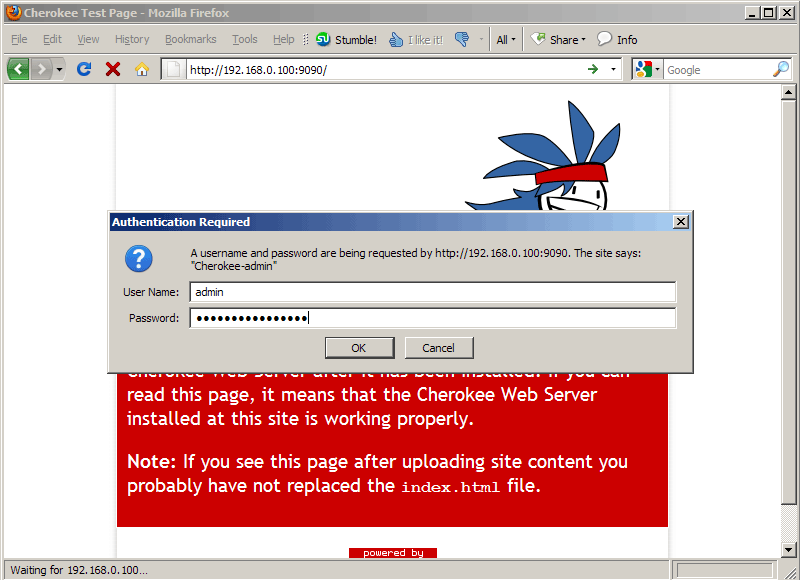 By default, networking is not enabled in Mandriva 2009.1's MySQL package. We can change this by commenting out the line skip-networking in /etc/my.cnf.